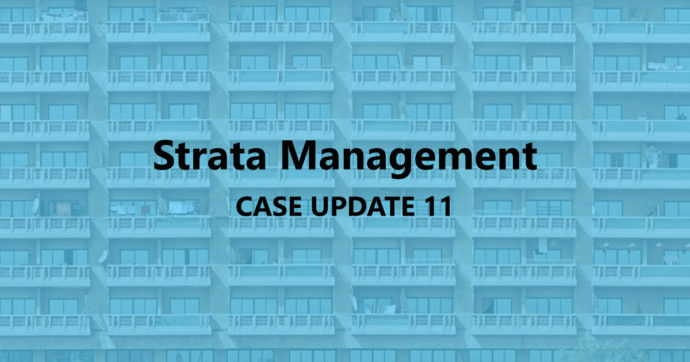 Strata Management Case Updates 11 – How can one stop AirbnB or short term rentals? This is one of the more anticipated decision on Airbnb or short term rentals. Plaintiff is the Management Corporation of Verve Suites Mont Kiara. 1st and 2nd Defendants are the tenants. The remaining Defendants are proprietors of Verve Suites. 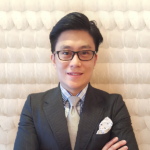 On 25.3.2017, the Plaintiff held an EGM to pass House Rules 3 which among others, prohibited short-term rental of the parcels. An overwhelming majority of the proprietors voted in favour to prohibit short term rentals. The Defendants being dissatisfied with the prohibition, filed an action before the Strata Title Tribunal to nullify the House Rule No. 3. 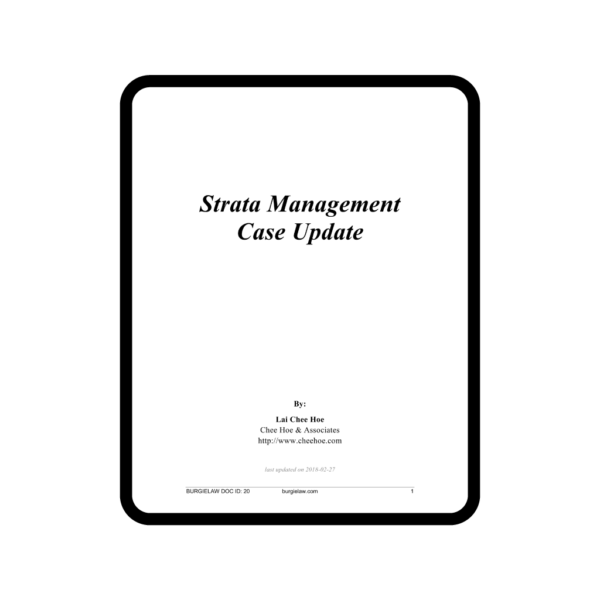 The Plaintiff, after receiving the notice from the Strata Title Tribunal, filed an injunction against the Defendants. On 31.10.2017, the Plaintiff obtained an injunction against the Defendants. All parties consented to dispose of the matter by way of O 33 r 2 which allows for question or or issuing arising in a cause or matter to be tried before the trial. The main crux of the defence is that House Rule 3 infringes S 70(5) of the Strata Management Act 2013 as it restricts the use of the parcels. Division IV of the NLC is captioned “Alienated Lands: Dealings” and covers dealings like transfers of land, transfers of leases and charges, sale of land, grants of easements and caveats. (a) any tenancy or sub-tenancy for a term not exceeding three years granted pursuant to Section 223. The Defendants argued that by virtue of S213 NLC, a short term rental falls within the meaning of “a tenancy exempt from registration“and as such House Rule 3 in prohibiting any short term rentals infringed S70(5)(a) of the Strata Management Act 2013. The court disagreed to the arguments of the Defendants. Short term rental guests are mere transient lodgers and in fact the Airbnb terms of service describes the booking as a “license”. Short term rental guests can be more appropriately be described as akin to hotel guests. Short term rentals are not considered as “dealing” within the meaning of NLC. “House guests” who have booked their units online are in law mere “licensees” who have been allowed to enter the licensor’s parcel for a consideration. No proprietary rights passed to them. There is no landlord-tenant relationship between them and tenancies exempt from registration pursuant to S 213 NLC does not apply to them. Short term rental activities do not fall within the meaning of “any other dealing” within Section 70(5)(a) of the Strata Management Act 2013. 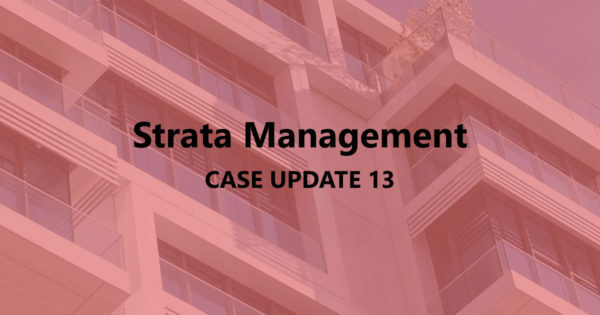 The Court then went on to refer to Sections 3, 59, 70(2), 70(3) of the Strata Management Act 2013, Paragraph 9(1) Strata Management (Maintenance and Management) Regulation 2015 and Section 39(1) of the Strata Titles Act 1985 and found that the Plaintiff is empowered to make additional by-laws and enforce them. Bearing in mind that House Rule 3 was voted in by majority and that from the facts of the case it is clear that the short term rental activities severely disrupted the peace and quiet of Verve Suites, House Rule 3 is valid and enforceable and not contrary to Section 70(5) of Strata Management Act 2013. 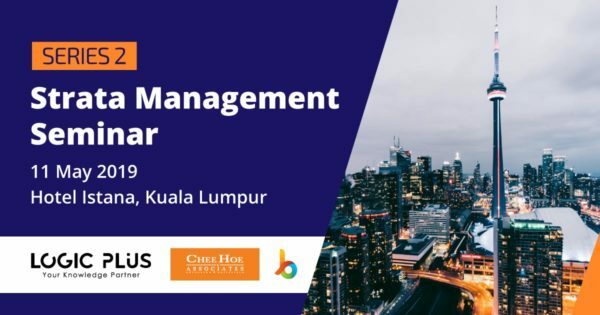 The imposition of fine of RM200 for each day the infringement continues however do not comply with Section 70(2)(i) of the Strata Management Act 2013 since it only allows a fine of RM200 for breach of by-laws. The court took the view that a fine of RM200 can only be imposed for each infringement and not for each day the infringement continues. The Plaintiff’s claim is allowed and the Defendants are prohibited to carry out short term rental activities. Restricting short term rental activities can be made through passing a resolution at a general meeting and introducing additional by-laws. imposition of fine of RM200 is for each infringement.